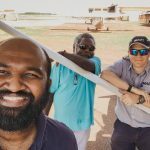 We are looking for skilled aviation maintenance engineers who possess turbine or reciprocating engine experience to join our team in Arnhem Land. The role requires maintenance and repair of aircraft including certifying work, co-operating with quality audits and actively using the Safety Management System. If you are interested in combining your engineering skills with the opportunity for mission this could be the job for you. We are currently looking for an Aircraft Maintenance Engineer to join our Arnhem Land programme both on a short term and long term basis. Please note: Due to Australian immigration restrictions, this position is only open to Australian and New Zealand citizens and permanent residents.